Just prior to 27 February 1967, when the present Eastern Caribbean Supreme Court was established, the Eastern Caribbean territories were served by two distinct courts: the Windward and Leeward Islands Supreme Court and the Windward and Leeward Islands Court of Appeal. These were established by a 1959 Imperial Order in Council made in the United Kingdom (UK). In stark distinction to that establishment, the present Eastern Caribbean Supreme Court is one court but comprising a High Court and a Court of Appeal. The original participating territories of this court were six of the former United Kingdom colonies: Grenada, St. Vincent, St. Lucia, Dominica, Antigua and St. Kitts. This court came about when the UK government passed the West Indies Act in 1967 in order to facilitate the advance towards independence status of these colonies. An intermediate status of Associated Statehood with the UK were then granted to them whereby they had full autonomy with regards to their internal affairs but the UK reserved autonomy in their external affairs, such as defence and citizenship. Section 6 of the West Indies Act provided for the making of the West Indies Associated States Supreme Court Order of 1967 for the establishment of a Supreme Court. This Courts Order was subsequently entrenched in the various Associated States Constitutions and each Associated State then passed enabling legislation entitled the West Indies Associated States Supreme Court Act in order to activate the court system in each territory. The headquarters of this court was originally located in Grenada. After Independence status was granted to the participating states, the provisions of the Courts Order were entrenched in their various independence constitutions. On 18 June 1981, the original participating states of the Supreme Court together with the British dependent territory of Montserrat, signed a treaty establishing the Organization of Eastern Caribbean States (OECS). With the exception of Grenada which then had its own court system under the People’s Revolutionary Government (PRG), the OECS member states signed an Eastern Caribbean Supreme Court Agreement on 16th January 1982. The UK dependencies of the British Virgin Islands and Anguilla subsequently signed this Agreement and became participants of the Court. The Agreement catered for the accommodation and financing of this Eastern Caribbean Supreme Court, which was the new official name given to the West Indies Associated States Supreme Court. Again with the exception of Grenada, participating states passed enabling legislation to adopt the new name of the court. The court is an itinerant court with its headquarters now located in St. Lucia. Appeals from the Court of Appeal lie with the Judicial Committee of the Privy Council which is based in the UK. Following the coup d’état in Grenada on 13 March 1979, the Grenada Constitution was suspended by the People’s Revolutionary Government (PRG) and a new court system was established for Grenada comprising the Grenada High Court and the Grenada Court of Appeal. This court system was therefore an unconstitutional court system which remained in place up to 1991, more than seven years after the demise of the PRG on 25 October 1983. 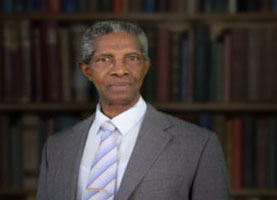 This situation presented a constitutional dilemma for the judges of the Grenada High Court and the Grenada Court of Appeal as the defendants in the case of DPP v Mitchell and Others (1985) involving Bernard Coard and others, took the position that those courts being unconstitutional, did not have the validity and competence to undertake their trial. In that case, nineteen defendants were charged with the offence of murdering former revolutionary Prime Minister Maurice Bishop and others on 19 October 1983. In order to resolve the constitutional dilemma which confronted them, the judges relied upon the doctrine of necessity in order to clothe the unconstitutional court with validity and competence. At the end of the trial, the democratically elected government in place at the time fully restored the Grenada Constitution by the Constitutional Judicature (Restoration) Act, 1991. Just prior to this, the Constitution was partially restored following the demise of the PRG. As a consequence of the 1991 Act, Grenada once more became a participant in the regional Eastern Caribbean Supreme Court, which Grenada still refers to as the Supreme Court of Grenada and the West Indies Associated States in order to comply with section 105 of the Grenada Constitution. Grenada’s participation in this regional Supreme Court is presently enabled by the West Indies Associated States Supreme Court (Grenada) Act of 2010, which Act was first enacted in 1971.